Mumbai: Known for his proficiency in Tests and a prolific scorer in first class cricket, Cheteshwar Pujara has set himself a task - of forcing people to take notice of his prowess in the T20 format too and play in the upcoming Indian Premier League season. "I definitely want to make a mark in that particular format. I have done well in T20 matches. I played in DY Patil T20 tournament (in Navi Mumbai) and got a hundred and two fifties. 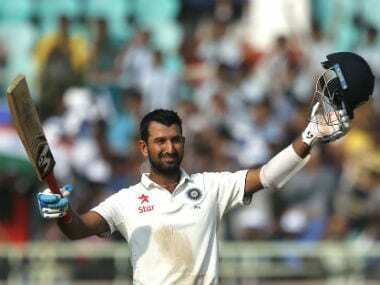 I am very confident that I can play well in other formats of the game," said Pujara after leading Rest of India to a six-wicket victory over new Ranji Trophy champions Gujarat in the Irani Cup match here today. Pujara, who has been in top form in first class cricket, has not been seen in the same light in the limited over formats, especially in the slam-bang T20 matches and did not play in the last two IPL editions. He is now eager to return to the cash-rich and glamorous league this year, saying he's improved his strike rate and plays more shots in the shortest format of the game. 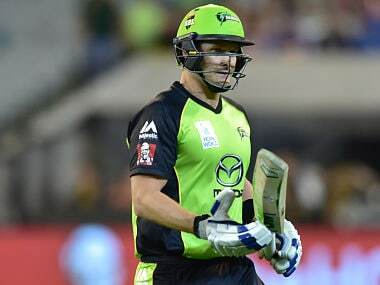 "I am looking forward to play in IPL. I have prepared well, especially when it comes to T20, I have more number of shots. I did well in the DY Patil T20 trophy. So probably I will play in domestic T20 tournaments (Syed Mustaq Ali Trophy). If I play well, surely there will be an opportunity. 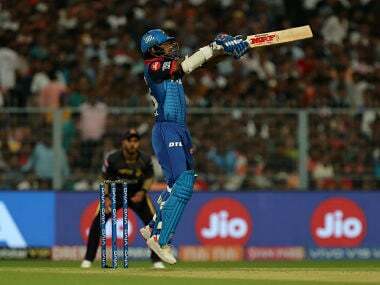 "I just will have to keep playing other formats and keep scoring runs and probably I will have to wait for my opportunity. I am improving, playing more shots and playing with higher strike rate. So probably that's (stamped as a Test specialist) just the tag, a perception that will change in time to come," he remarked. Looking ahead to continue his Test career, Pujara said Australia - who will play four Tests after the one-off Test played by Bangladesh in India - was likely to offer a big challenge to the home team who are ranked no. 1 in the world. "We have five Tests - one against Bangladesh and four more against Australia - which will be crucial for the Indian team. We have been playing good cricket and it will be a challenging task for us." Reminded about the 4-0 whitewash suffered by the Aussies on their previous visit to this country in 2014, Pujara said the same players had gained experience of playing on Indian pitches and are likely to be better prepared. "That (2014) was a different time; they did not have an experienced team. Most of them did play in that last series and they know what to expect from Indian pitches and will be well prepared." "At the same time we have been playing very good cricket and when it comes to Tests we did really well in 2016. Our fast bowlers and spinners did really well against England and our lower order contribution, which I keep saying, did help us win the (Test) series (4-0) against England," he added. He sounded happy with his own form in first class matches which has seen him get six hundreds, including three in Test cricket. "Starting from 2016 I have been batting well. I batted well against New Zealand and England and Duleep Trophy and all first class games I had played. Moving into 2017 we got a few domestic T20s lined up before we play one-off Test versus Bangladesh," he noted.